When viewing all reviews, things look ok, but as soon as you filter by a specific rating things in the head of the view get smushed together as a new element is introduced. 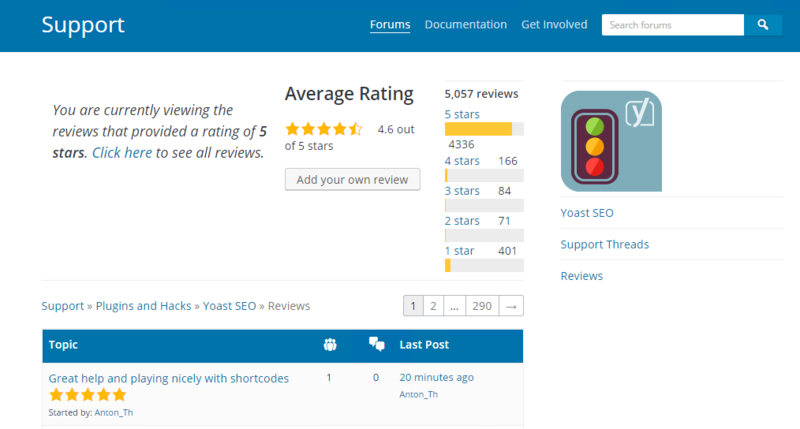 I think if we move the ratings into the sidebar similarly to how it is on the Plugin Detail page (​https://wordpress.org/plugins-wp/shortcode-ui/) we should be looking much better. @sergeybiryukov, any ideas how we can make this happen? Support Forums: Remove rating filter message from flexbox div. Prevents squashing effect in new forums theme without breaking the current forums theme. 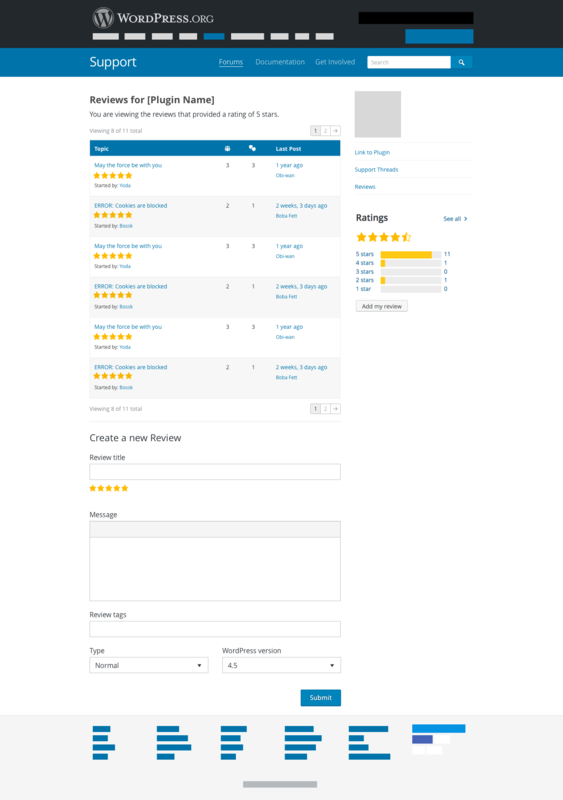 Once the forum theme is switched for all users, this can be altered to display the filter message and ratings in the plugin support forum's header and sidebar, respectively. Can this ticket be closed, or is there still work to do on it? comment:2 is not implemented yet. Do we still want to move them into the sidebar, the sidebar is getting a bit crowded at this time?